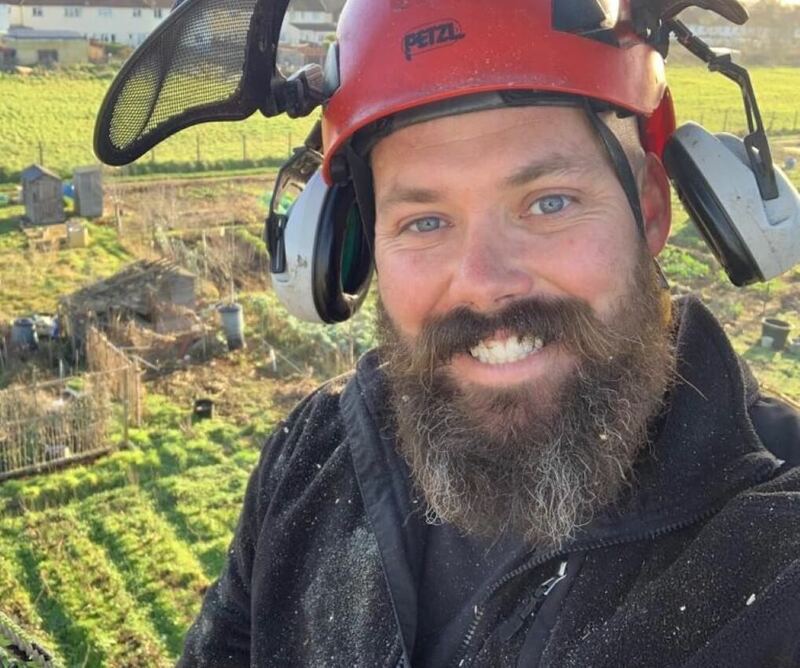 Meet Dean Passionate about tree surgery since his teenage years, Dean Tucker founded Wychwood Tree Surgeons seven years ago and hasn't looked back since. For Dean Tucker, life as a British arborist truly is a dream job. At 37 years old, he has been climbing trees for a living since he was 18. After Five years, he went freelance, doing what he calls “All the hard work that other companies didn’t like or couldn’t do”. Three years later, he set up Wychwood Tree Surgeons and hasn’t looked back since. Wychwood Tree Surgeons has now been running successfully for Ten years. Dean has a regular client base and comes highly recommended. Dean is also a local Authority approved contractor. “I remember recently I was working with a buddy of mine, climbing trees and doing big removals,” he says. “At one point I looked at my groundsman and said: 'Barry! I don't even feel like I'm working, this is so much fun' I can't believe I actually get paid to do this. It doesn't feel like work most of the time." Working with friends and family is a huge part of why he’s so passionate about his job and company. "Having a good crew really helps. I get along with all my guys, we all have fun at work which I think is key in the tree world. You can have those long, horrible days but doing it with guys you like and who are good at what they do makes it worth it,” he says. Whether it's clear cutting a huge construction site, removing a big dead tree growing over a house or pruning a small fruit tree, it’s clear that Dean is a man who lives and breathes tree work.